Rustically industrial…industrially rustic—whatever you call it, whatever your décor, the Tiburon Coffee Table by Moe’s Home is sure to make a splashy center of attention. 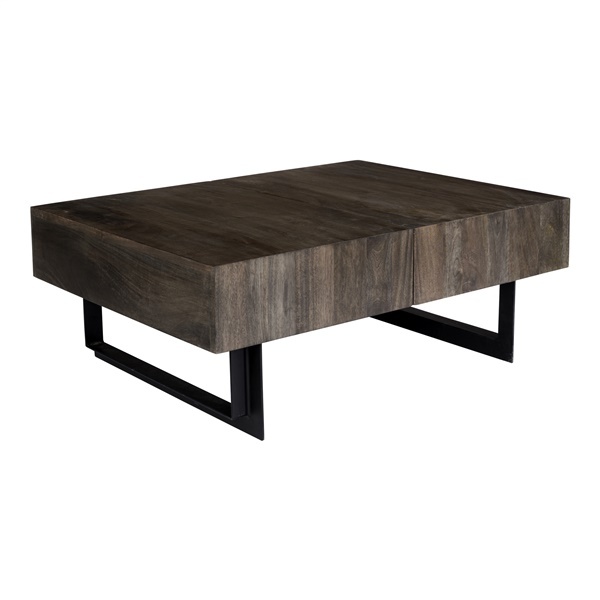 Crafted of stable iron and solid mango wood with the tactile look of a textural grain, Moe’s Tiburon Coffee Table brings bold and blocky style to all manner of modern areas, on its own or along with other Tiburon pieces by Moe’s Home. Versatile contemporary design with rustic and industrial influences. Quality construction of solid mango wood and iron. Complements other Tiburon pieces by Moe’s.